Here’s something a little different, I know it’s not DB Cooper but after two years I think I’ve covered the case pretty well, it’s time to move on. The Review contains spoilers, but spoilers won’t ruin the movie for you, I promise. With any new Star Wars movie, the first question that needs to be asked is “did it do harm to the Original?” Did the filmmakers, for reasons of convenience or avarice or ignorance, harm in some way the memory of what made Star Wars the most beloved fictional franchise in history? To quickly answer this question in regard to Rogue One: No. Not only does Rogue One do no harm, it even fixes some issues with A New Hope. This is quite an accomplishment considering the movie ends minutes before the start of A New Hope. Rogue One is a good standalone sci-fi movie, which is an accomplishment for any Star Wars film, and more importantly, a worthy flag bearer in the growing Star Wars canon. It will forever be difficult to make a new Star Wars movie because the filmmakers have to strike a balance between originality and mimicry. Make the movie too reminiscent of the Original Trilogy and it will be accused of plagiarizing and manipulating nostalgia for the sin of greed. If the movie is too original and fails to connect to what has come before, then audiences will accuse the film of infidelity. Over time. I believe this will become a larger problem, especially as audiences change over time with shifting technological culture. Thanks to the prequels, the bar is very low right now, and the folks at Disney have cleared it by miles. Rogue One opens… somewhere. I’m not actually sure, as we visit so many planets in a short period of time. Regardless, the Empire has come for an engineer, Galen Erso. In the course of kidnapping Erso, Imperial agents kill Galen’s wife, and a young girl, Galen’s daughter, escapes. We shoot ahead about a decade and meet the daughter again, who is now serving a prison sentence for crimes we hear about, but never actually see. The Daughter, Jyn Erso, is rescued by the Rebels. Based on her reaction. she was rescued against her will. The rebels need Jyn, I think, because Galen Erso is rumored to have sent a defecting cargo pilot with a message to warn the Rebellion about an Imperial superweapon. I’m not even sure how the Rebels know they need Jyn Erso or where to go to rescue her, since she’s living under an assumed name. This part of the film is painfully convoluted and reeks of poor writing or failed reshoots or corporate suits interfering with the movie. I’m not 100% certain what happened, but the end result is a mess. Even the witty dialogue and pumped up action doesn’t save this part of the film from being boring. In fact, the entire movie struggles to get its main cast into a position for the big ending. There are a lot of questions about these scenes, now that I have time to think about them. What makes everything worse about these scenes is the movie is constantly throwing references for the diehard fans. Characters from the original trilogy get glorious cameos throughout, most of which work fine, especially in the third act. But…. This forty-five minutes of the movie, from Jyn’s jailbreak to the roundtable at Yavin Base, all I can remember is the bright green light from the emergency exit sign (which is, distractingly close to the screen at my theatre) and the sound of the family behind me assaulting their bags of popcorn. Eventually, the film finds its mojo and the audience is treated to seeing the rebel base on Yavin IV. Mon Mothma, Bail Organa, our new cast of characters, the disparate members of the Rebel Alliance, they all get crammed into a roundtable discussion about the Death Star and the future of their resistance movement. It sounds like an awful scene, now that I write it down, but it worked. We see a Rebellion on the verge of collapse before it has really started. We understand the stakes, which are even bigger than losing a planet or two to the Death Star. We see the desperation and despair. Our main characters become the catalyst for the entire Rebellion through their resolve. Here the Big Dumb Ending starts. And it is glorious. The story comes together, the characters begin to shine, we start to connect emotionally to the people and the story, the action was exciting and reasonable, no cartoon physics or poor effects. The movie even fixed some of the nitpicker objections sourpusses like to bring up to belittle the Original Trilogy. Rogue One has wonderful cinematography, a serious tone that captures the uncertainty created by the modern war against terrorism, wonderful performances by a vast cast of characters, including some from A New Hope (Seriously). It suffers from some combination of poor writing or poor editing in post-production. It’s far from perfect, but for half the movie I forgot about that stupid Exit sign and I have no idea if those hogs behind me stopped eating or if I was just that absorbed in the story. That’s just about the highest praise I can give a film. Almost two years ago, I “invested” in what was then called the “Hemingwrite”, a “smart typewriter” that offered a distraction-free writing experience. I just got mine about two weeks ago, and have used it extensively since then. It’s a beautiful machine, a pleasure to type with, and is exactly what I wanted. I’m a bit of a Luddite, so the idea of a “smart typewriter” was alluring.My writing production has gone down quite a bit over the years, so I was interested in something that would help me get some large projects done. Finally, writing on a laptop is a thoroughly unpleasant experience and I was desperate to try something else. So the Hemingwrite made sense to me. However, after the Kickstarter campaign, I decided to look into other devices that ostensibly did the same thing. There were apps that turned off the internet on your laptop, and I found other word processors very similar to the Hemingwrite, like the Alphasmart Neo. I ended up buying a Neo a few months before the Freewrite arrived. The retail price of the Freewrite is about $500, whereas you can get a used Neo for about $50. While the two devices are quite different in form and there are some functional differences, they do the same thing which is allow the writer to simply write. Well… Buyers’ regret. While I love the Freewrite, it is heavy. Much heavier than the Neo. The Freewrite is also so much more expensive. I like writing “in the field”, often outdoors, and having a $500 device exposed to the elements is anathema to my natural risk aversion. And the functional differences ended up being more significant than I first thought. The Neo has arrow keys, which allows the writer to go back and do some editing on a completed piece. The Freewrite is a “draft machine” where the only way to go back and do editing is through the delete key. Which is frustrating, since one of the features of the Hemingwrite is the ability to send a pdf file of your writing to your email address. Well, if you can’t do any real editing, what’s the point of making a pdf file of a draft? The Neo isn’t perfect, the arrow keys are easy to hit accidentally. It takes time for the Neo to transfer files onto a computer, and it has no internet connectivity. However, the difference in price and the greater functionality means that I’m writing this review on my Neo, and not my Freewrite. The Freewrite is a beautiful machine, and I use it often. In fact, I hope to use it for many many years to come. It is such a pleasure to use. But I’d rather have that money back. The store I work at is closing, and the amount of work involved in closing a store is surprisingly voluminous. So I’ve been incredibly busy as of late. There are only a few days left, then I still have to stay on for a couple of weeks to help with the clean out. I haven’t had a lot of time off since the announcement, so I haven’t had time for any projects. I did start a new novel just after Christmas, but I haven’t had time to really get it going yet. – Listened to an old tape of Katie Goldberg’s writing seminar: Writing the Landscape of your Mind, held in the Twin Cities in the early 90’s. It was an interesting seminar, focused mostly on Zen-like stream-of-consciousness writing. Not really my thing, but I learn something from every writing how-to I ingest. – Saw Captain America; The Winter Soldier. It was okay, I would have made a few changes because parts of the plot didn’t make a lot of sense. The ending was kinda stupid, and Hollywood clearly has no idea how to write for a character as ostensibly conservative as Captain Steve Rogers. But there’s some good stuff in there too. I’d recommend. -In April of 2003, I decided to make a commitment to review every book I read and movie I paid money to see in the theatres, as a writing exercise and a way to keep track of whether I was maintaining my goal of reading a book per week and seeing at least two movies per month. Since then, for the last eleven years, I have done exactly that. I started out on Amazon.com, before moving everything over to blogger. I don’t think I will be doing that anymore. I want to devote more time to novels and other “big projects” and I’m also reading fewer books and watching fewer movies. God’s Blessing to you, Mr. Stewart. I didn’t really get a chance to celebrate, so I’m going to do it again: Somehow I lasted ten years as a blogger. Over that time, I published over 5000 posts. This is an average of two posts per weekday, 50 weeks a year, for ten years. Also, between the three primary websites, I averaged just over two thousand hits per month over that ten years. I’m just a little bit proud of all that, even if it’s been an ugly and barely readable blog since 2009. I have no plans for the future of blog. My goal is not to publish anymore junk. I want to produce longer and higher quality posts, stuff that I could publish later. Also, I want to get serious as a novelist, and this means most of my spare time will be spent on large products, not this blog. And I don’t think anyone cares enough about anymore to get all worked up over this. Nothing much to report, though it is interesting that there was a huge increase in December when I had a flood of posts as I tried to hit that 5000 post goal I set for myself. Aaron Clarey’s Bachelor Pad Economics. It’s an essential purchase for young men. I’m hoping to give it a full review sometime later. How I Write by Janet Evanovich. The story of her struggling for ten years to get an agent and a publisher should serve as an important lesson for any wannabe writer. As far as writing is concerned, her suggestions are similar to other articles and books I’ve read. CEO of the Sofa by P.J. O’Rourke. I’ve read the book before, but the audiobook is fantastic. Very funny, if a bit dated. Kmart Forklift operation and safety training. So, it’s work-related. Sue me. Just be thankful I didn’t mention every one of the 104 other learning modules I passed. The year is over, my busy holiday schedule is over, and maybe I’ll have time to write stuff. Maybe. In other news, I wrote the Foreword in Aaron Clarey’s new Bachelor Pad Economics, as well as worked with the manuscript. It was a lot of fun, and I’m very glad Aaron allowed me to help out. I intend to write a review here and on Amazon.com. The White House Mess by Christopher Buckley. Excellent. Played straight as a real memoir, the stuff Buckley parodies would be absolutely at home in any presidential administration since its publication in 1986. Dave Ramsey’s The Total Money Makeover. Pretty good, I got really annoyed at the “Kate called into my radio show and [anecdote that proves how right I am]. Ramsey’s got a good plan, but he sells it like religion, instead of finance. Good and Evil by Martin Buber. 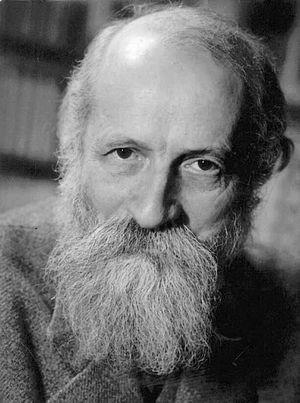 Hard to describe, Martin Buber examines several of the psalms, and the myths relating to Lucifer, good and evil, and even the nature of the afterlife. It is Buber’s description of the afterlife I found most interesting. Audiobook: X-Files: Ground Zero by Kevin J. Anderson, read by Gillian Anderson. Not very good. Anderson delivers the story monotone and flat and awful. And the story isn’t interesting. Museum of Modern Art’s Printmaking playlist on Khan Academy. Described the different forms of artistic printmaking. Quick and interesting. The Hobbit; Desolation of Smaug: Very good, much better than the first one. Worth watching. Busy month at work. And another busy one to go. Audiobook: Acts of the Apostles. Most of the New Testament is great in audio format, but Acts requires a lot of concentration. Very difficult to follow, and that sort of defeats the purpose of listening to it. Thor: The Dark World. Not really “self education” I’ll admit, but I rather enjoyed the film. The climax was zany and fun, the movie almost had enough humor to balance the over-the-top seriousness of the Asgardians. Definitely better than the first “Thor”. Busy month, I’m helping a friend with a book, so I’ve been busy. Also, this blog is just three months shy of its ten-year anniversary. I’ll be publishing some stuff in the next three months as a celebration, including excerpts from the Nixon book. – Gospel of Luke, Gospel of John (KJV). The Gospels work well in audio format. But I’m quickly learning Acts is not so much. -Walking Dead Compendium II (Issues 49-96). Surprisingly good. I’ve tried to read other graphic novels, and haven’t enjoyed the experience. But The Walking Dead is really great. Hoping to get some more material onto the blog. The Kindle version of the Nixon Novel is now available, for 99 cents. Just click the picture on the sidebar. -Prof. Timothy Luke Johnson’s The Apostle Paul, from The Great Courses. Another audio course, and it’s excellent. Unlike the more skeptical and academic Bart Ehrman, Johnson is a believer with generally Orthodox views. This intro to the Apostle Paul, his writings and the role he played in spreading Christianity is a great balance to Ehrman’s course on Early Christianity that I reviewed earlier. 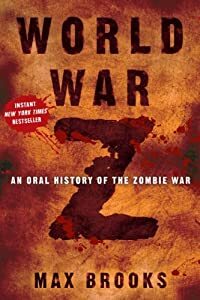 –World War Z by Max Brooks. This was a really good book. Very readable. -Attack of the 50 foot Democrats by RK Delka. I reviewed this on Amazon. The author contacted me and asked for a review. As a struggling author myself, I agreed. And, after the first fifty or so pages, the book really picked up. It’s not art, it’s exactly as advertised. -The Royal and Ancient Game by Kevin Nelson. This is basic golf lore, the stuff most golfers have heard about, but may not have the details on, like where certain golf grips come from or why Scotland became the home of golf. It’s read by George S. Irving. – The George Zimmerman trial got a lot of coverage, but as usual, there lacked any real depth to the analysis. Zimmerman shot and killed an unarmed man because he was on his own crusade to rid his neighborhood of wrongdoers. The simple answer, assuming we as a society want to avoid this situation (and we should) is to include a No Vigilantism Clause in the pistol carry laws. If you defend yourself using lethal force, you will be judged by the circumstances of the event, however, if you were seeking out a confrontation (as evidenced by the event taking place outside normal daily life of work and recreation, by being in neighborhood watch patrol, by any 911 calls, etc.) then you are guilty of violating the No Vigilantism Clause (and that should probably be a gross misdemeanor). This will effectively prevent most situations like the Trayvon Martin shooting. -Listened to a course on Aristotle’s Ethics by Father Joseph Koterski, one of The Great Courses from The Teaching Company. 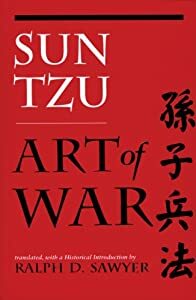 This was a great short course, and for most people the two important lessons from Aristotle’s Ethics will be fully understanding the idea of the Golden Mean, and getting a better handle on friendship and its meaning. Could not recommend the course more highly. – Watched Matthew Khan’s Environmental Economics playlist on YouTube. Khan is a professor of economics, focusing on environmental economics at the micro level, He’s also, if I remember correctly, a self-described member of the Chicago School. Much of his work seems contradictory, but libertarian minded people who have a soft spot for the environment will definitely benefit from his work. – Watched the Khan Academy Buddhist Art module on the Art History Playlist. So KA is going through changes in how they setup their coursework, creating small modules that act like short seminars on specific topics and include not only videos but readings and quizzes. This short module focused on Buddhist Art is very informative, and I went through it as a supplement to an audio course on Buddhism that I’m currently taking. – Read 1 Chronicles (older NLT version). The many pages of genealogies make this one of the more difficult books of the Bible to plow through, but those genealogies hide interesting historical perspectives on David and Solomon. – Saw Pacific Rim, in 3D. And I was surprised how good it was, considering the source material. There are lots of little things that make it a good movie, and it only has a few rough spots. It’s not quite cliché, so it’s fresh, but there are lots of familiar elements that make it a good movie because it reminds us of other movies (and not just monster movies) that we previously enjoyed. Lots of depth, good effects, acceptable acting. Good flick. My family went through another rough patch over the last week, to go along with the rough patch we hit about a month ago. So once again, writing projects got pushed back. I’m hoping to get back on track and to finish the Kindle Version of Nixon’s Guide in the next couple of weeks. – Audio Course: From Jesus to Constantine, A History of Early Christianity by Prof. Bart Erhman, one of The Great Courses from The Teaching Company. In this series of lectures, Prof. Erhman focuses on the early history of the Christian Religion, from a strictly historical perspective. It was extremely fascinating, and I highly recommend it for those interested in religion. – Audiobook: Sayings of Confucius, a libriVox recording (free to download), edited by Charles Eliot, from the Harvard Classics. This public domain translation of Confucius’ Analects has its positives and negatives. I would definitely read Confucius before trying to grasp his sayings in quick audiobook succession. I used it as a way to refresh my memory, and I intend on listening to other classic books that I’ve already read for the same purpose. – Read Second Maccabees, NLT (I). This work provides interesting insight into the world of Judea before the Christian era. It is the subject of much debate, but as a standalone ancient text, it holds the interest of the reader and provides a compelling historical narrative. – The Gospel of Thomas, edited and translated by Dr. A. Nyland. The translation is heavily noted, with preference given to the literal over the literary. Along with the complete sayings of Jesus, New Testament parallels are also given. It’s a fascinating look into what likely constituted a great deal of Q. 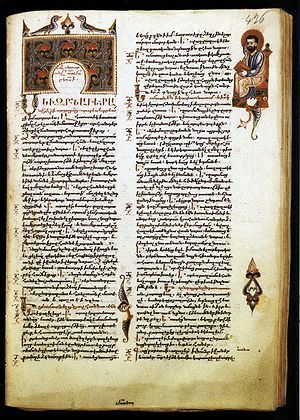 One can also see obvious exegesis in the New Testament parallels, meaning the Thomas Gospel probably predates much of the canonical Gospels. I hope to write a series examining in greater detail each of the individual sayings of Jesus found in Thomas. There is a lot of good, some confusion, a little malice, and a lot more apocalypticism in Thomas. The text is absolutely necessary in trying to get a better handle on the Historical Jesus. – Read Tyrannus Nix by Lawrence Ferlinghetti. A tirade/poem against Nixon published in 1969, it includes the standard assortment of claims regarding fascism typically found among leftwing thinkers of the time. Still, it’s a fun book to read aloud, as Ferlinghetti has a fantastic way with words. Would not recommend though.